V Dorairaj and PMI India Senior Champion Gowrishankar Chandrasekaran. The Intel project managers’ workgroup is now mentoring the participants in project management initiatives. It was an awareness building session for over 40 hours in which there were a total of 40 participants. PMI India Champions in Pune designed and conducted this marathon session on PMI’s A Guide to Project Management Body of Knowledge (PMBOK Guide)® -- Sixth Edition for both PMP aspirants and project practitioners at Tieto India, an IT services and software company. The sessions were conducted on Saturdays between 13 and 29 November 2018. The company’s learning and development team had identified the requirement in September 2018, following which PMI India Champions meticulously planned and executed the program within 90 days. The team adopted a unique delivery method of involving three facilitators for each session and the use of the Delhi T3 terminal building project as a case study to explain the PMBOK Guide process framework. 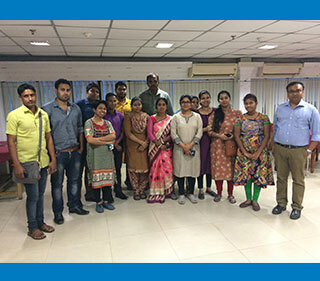 PMI India Champions conducted a workshop on 12 and 13 January for non-government organization (NGO) Save the Children, Kolkata on project management tools and techniques. Fourteen volunteers of the NGO including the state program manager and the program coordinator took part in the workshop. The two-day workshop covered an understanding of various tools and techniques in project management, project risk management, tools and techniques for proactive risk management, and techniques to handle risk during project execution. For the past two years, PMI West Bengal Chapter has been guiding Save the Children and providing training to its staff on program execution. 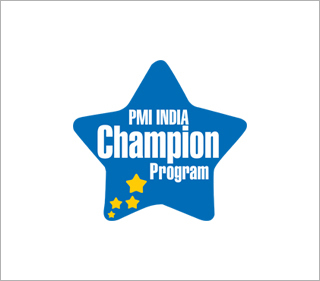 This has been possible through sessions conducted by PMI India Champions Suman Das and Subhajit Ghosh and PMI India Senior Champion Jaydeep Chakraborty. These efforts have positively impacted its program execution. The organization won the Project of the Year award in the NGO category at the PMI India National Conference 2018 in New Delhi for outstanding work. It won the award for its New Horizons Project that is focused on skill development and livelihood generation for underprivileged youth. PMI Finland Chapter and PMI Poland Chapter organized an awareness building session on PMBOK Guide® -- Sixth Edition, in coordination with PMI India Senior Champion Gaurav Jain. In the session organized on 28 February, more than 150 participants from these two countries from across industries registered and participated. Included in it were 10 Q&A sessions to assess the participants’ knowledge after the session.